Out with the old in with the new, as they say. When it comes to 2017, there are a few items that we’re ready to shed ourselves of. Not to say these five items are officially banned from our wardrobes, rather they are due for a hiatus of sorts. A slight sartorial hibernation, if you will. Though you’ll have to scroll down to find out what we’re getting rid of come January, rest assured that we’ve also suggested stylish alternatives to these pieces (inspired by S/S 17 runways) so you can test out some fresh looks for the New Year. From the earring you need to be accessorizing with to the top style everyone will be talking about, scroll down to find out the top five trends to retire in 2017. Everyone has been embracing the ear party as of late, but sometimes we think less is more. Instead of cluttering your lobes with crawlers and cuffs, try a pair of bold statement earrings instead. Bonus: They procure tons of compliments. 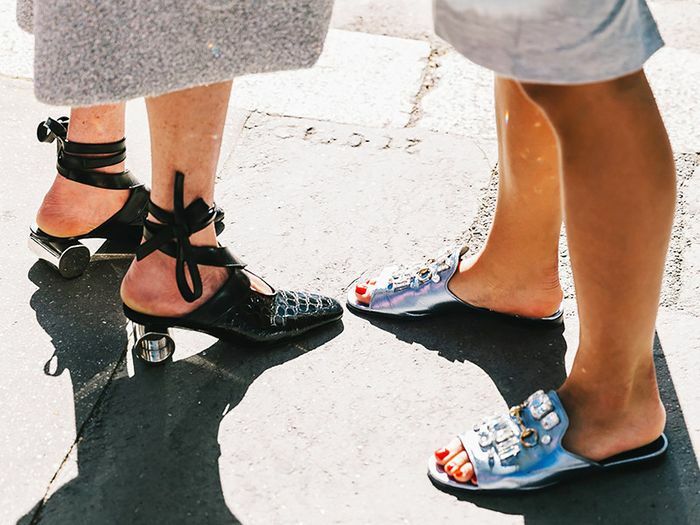 Furry flats were everywhere this year, and though we have to admit we still secretly love these textured beauties, it might be wise to keep your fuzzy footwear indoors and slip into a pair of cool pointed-toe flats as an alternative. Thankfully, designers across the board are offering exciting versions that will still keep you feeling ahead of the curve. This one’s tough—we know how much these leather tie chokers blew up in 2016, but frankly they’re starting to feel overdone. Rather than ditching chokers altogether (we wouldn’t dream of it! ), take a page from Phoebe Philo’s book and try a delicate chain choker as seen at Céline. You can’t throw a stone inside a Zara without hitting at least five off-the-shoulder boho tops. And though it was the top style of the summer, 2017’s version of the bare shoulder—the single cutout—feels updated and interesting. Give it a go! Victorian-inspired necklines and sleeves come and go in the trend cycle, and in our opinion, it’s time to release them for the time being and opt for a more contemporary sleeve. So many designers are putting their spin on these, including versions that involve high-volume, slits, and intricate embellishments. 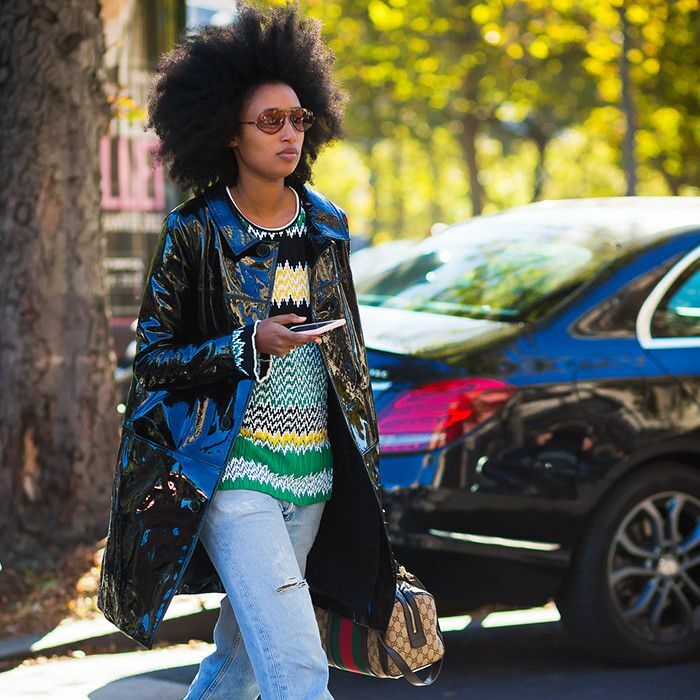 Click to see what the biggest street style trends of 2016 were.